Buying a used car in Dubai? Discover 7 secrets to avoid buying a lemon! If you’re buying a used car, be on your guard since the market for used cars for sale in Dubai, UAE is rife with fraud – and, unfortunately, appearances can be deceptive. We understand how frustrating it would be to find out that you have paid thousands of dirhams for something that the previous owner was trying to get rid of. To avoid that disappointment, use this list put together by our experts at CarSwitch. Check for accidents: A car that has suffered an accident is probably repainted. Check if the body panel alignment matches or use a paint meter across various body panels – a higher reading indicates that it has been repainted. Watch out for American specs: The market for used cars for sale in Dubai, UAE is full of non-GCC specs cars imported from the US. If you think you’re getting yourself an awesome deal with a 20-30% discount over a normal GCC specs car, keep in mind that these cars do not come with any warranty and might have been in accidents in the US. Check car history for US specs cars before you buy. Look at tire and brake wear: Check the brake and tires as well – not only is it dangerous to drive with worn tires/brake pads, but replacements also cost thousands. If the Tire tread depth is less than 3mm or the breaks have 20% left on them then expect to replace them within 2-3 months! Don’t fall for odometer fraud: Fraudulent cars may have tampered odometers, so check the official odometer history. A non-tampered odometer will show a steady increase in the reading, but beware of inconsistencies. The accelerator, brake or clutch pedals can also hint at the actual mileage the car has done – a low mileage car with worn out components compared to other cars of the same mileage might be something to be worried about. Avoid cooling system problems: Peek under the hood to check the radiator bottle and the radiator cap to see how the car was maintained. If you have chalky, rust colored or oil deposits in the coolant, be prepared for a few expenses. If the levels are at par with the manufacturer-recommended levels minus the deposits, you’re good to go. Take the car for a spin to see if it heats up. Once you’re back from your test drive, check the cylinder head seal in the engine bay for leaks. Watch out for engine issues: After your test drive, check the exhaust for oil deposits – an oily exhaust tip might be the start of a long, expensive journey if you have to overhaul your engine. Furthermore, be wary if you see white smoke when the engine is hot. Bust the rust: Bubbly exterior paint could be a sign of rust having formed within the surface. Usually this indicates a botched up paint job without correct rust treatment or one that was done to deal with rust in the first place. Every car is inspected: An expert mechanic runs the CarSwitch 200pt check so each car works and you know what you will get – no surprise. We’ve got you covered: Every car comes with a 3 month/ Unlimited Kilometers CarSwitch warranty. Better prices: We skip the dealers and fancy showrooms, which means you get to pay less than at the dealer. 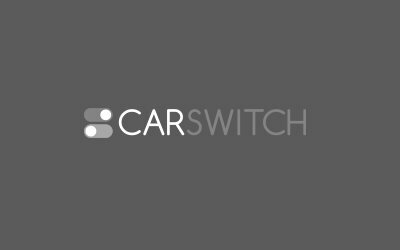 At CarSwitch, we’ve redefined used cars sales by bringing trust into the equation, so get clicking to check out our collection of switchin’ cars – no hidden lemons! Whether you’re looking for your first-ever car or treating yourself to an upgrade, it is worth.